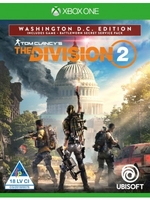 While the private beta of Tom Clancy's The Division 2 is getting closer, Ubisoft invited us to discover its content in advance last week. We didn't come back empty handed as we brought you back some footage of the game on Xbox One X. Keep in mind that what you'll see here is not final. Don't know, looks like a "videogame" in the most common sense. I mean, it's a bit the template of the "videogame" stereotype you could see in the background in movies, or (I guess) in the mind of a non-player person. Pretty grey, you run, shoot things with a machine gun, some military people. Looks like a focus-group game to me. I've never played any of the division games, but compared to the trailers of the first game this looks absolutely terrible. 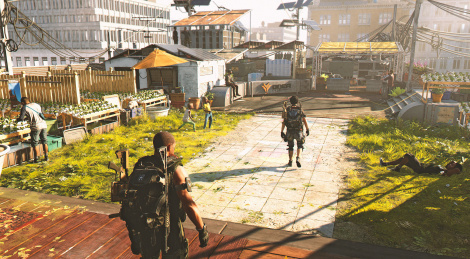 Aside from the resolution it looks like a 10 year old game. Is it just me or does it look worse than the first game? But it's not done yet, right? Maybe the last thing they will do before release is apply the makeup.